Whether you're an aspiring writer or an established freelancer, you might be able to make money by submitting your ideas to greeting card companies. From birthdays to weddings and St. Patrick's Day to Halloween, there are cards for just about every occasion. Companies that produce these cards need good ideas, artwork, and writing. While some companies employ in-house staff, a good number of them solicit freelance submissions. The manner in which you submit verse, photography, and artwork will vary from company to company. Some companies allow online submissions while others require you to mail in your ideas. Acceptance procedures and fees also vary depending on the company. Before submitting any of your work, be sure to visit the company's website to ensure that postal addresses, email addresses, and submission guidelines haven't changed. Previously known as Comstock Cards, Comstock Marketplace accepts submissions for gag lines, ideas for cards, and artwork. Comstock specializes in adult humor, accepting submissions of funny cartoons and verse as well as professional photos of attractive men and women. Submissions can be sent via regular mail to Artist Submissions, Comstock Marketplace, 1344 Disc Drive #185, Sparks, NV 89436 or via email to production@cmpmarket.com. If your work is accepted, you should hear from them in eight to ten weeks. Accepted gag lines are paid $50 each while the rate of pay for accepted artwork is negotiated on an individual basis. In addition to books and gifts, Blue Mountain Arts features greeting cards for which they require poetry and other writing. They ask for contemporary prose or poetry written from personal experience, encapsulating common themes like love, family, and friendship. Writing intended for specific occasions is also considered. In either case, though, this company isn't interested in rhyming poetry or humor. You can submit your work via postal mail to Blue Mountain Arts Editorial Department, P. O. Box 1007, Boulder, CO 80306 or via email to editorial@sps.com. Emails should contain the verse within the body of the message - do not send as a link or attachment. The company pays $300 for exclusive, worldwide rights to accepted poems used in greeting cards. Helium freelance writer Regina Hill says that writing for Blue Mountain Arts is like "a dream come true" and that any poetry writer would be "delighted" to work with them. Amber Lotus Publishing focuses on Buddhist spirituality and holistic living. The company reviews submissions of artwork and photography between April and June each year, but you can submit at any time. All artwork and photography is to be sent via email to submissions@amberlotus.com. Send a link to your website, a PDF with work samples, or three attached JPG images of no more than 200 KB each. Amber Lotus Publishing doesn't accept postal submissions. American Greetings doesn't accept unsolicited writing, artwork, or photography submissions for its line of greeting cards, but if you're interested in submitting card ideas, there's a formal process you can follow. You will need to download and complete a disclosure agreement and send it along with other relevant materials via regular postal mail to the Idea Submission Team at American Greetings Corporation, One American Boulevard, Cleveland, OH 44145-8151. Submissions are reviewed on a monthly basis. Additionally, American Greetings has a careers page that occasionally includes freelance work opportunities. Designer Greetings offers greeting cards for a broad range of occasions and holidays, and the company accepts submissions of artwork and written verse for their cards. Artwork should be sent via email as attachments to submissions@designergreetings.com. Postal mail submissions of artwork won't be accepted. A wide variety of media for artwork are acceptable, including pencil, airbrush, watercolor, and digital. Image submissions should be in low-resolution RGB JPG format. Editorial submissions are accepted through regular mail, but not email. Send your submissions to Designer Greetings, Attn: Editorial Department, 11 Executive Avenue, Edison, NJ 08817. Both traditional and humorous submissions are welcome and should be sent on letter-size paper or standard index cards. 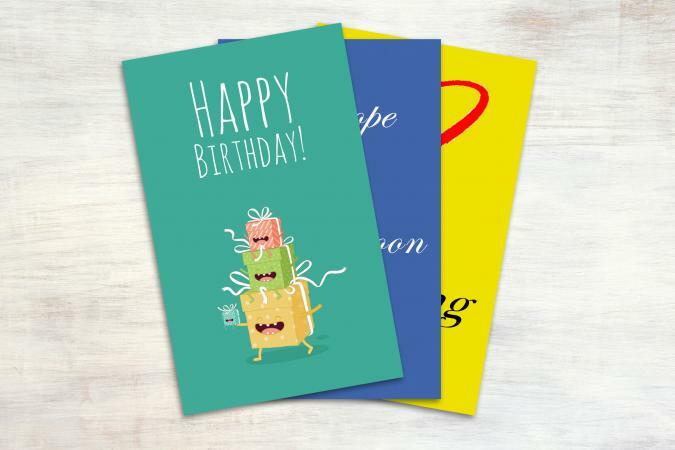 Greeting cards from Oatmeal Studios cover a multitude of special occasions, including milestone birthdays, get well, miss you, thank you, wedding, new baby, anniversary, retirement, and congratulations. They are looking for funny messages written how people normally talk, not in poetic verse. They do not want submissions that rely on puns, are too narrowly focused, or that contain "gross" or "mean" ideas. Send your ideas via postal mail to Editorial Department, Oatmeal Studios, P. O. Box 191, Rochester, VT 05767 on individual 3 x 5 index cards with an indication of what should be written on the outside of the card and what should be on the inside. Submissions via email are welcome, too, but they request that you contact dawn@oatmealstudios.com for guidelines. Based on a forum thread at Absolute Write, Oatmeal Studios appears to communicate reasonably well, and they pay $75 per accepted card idea. While P. S. Greetings produces greeting cards for all occasions and major holidays, their specialty is Christmas cards. They prefer traditional designs and verse, but they'll also consider non-traditional or alternative ideas. They produce both individual cards and boxed sets. P.S. Greetings accepts submissions of verse, illustrations, and photographs through regular mail at Design Director, P. S. Greetings, 5730 North Tripp Avenue, Chicago, IL 60646. They don't accept email submissions. To submit your written work for consideration, you need to send your verse on letter-sized paper in black type. Designs, illustrations, or photographs should be copies, not originals. If your work is accepted, payment is negotiated on an individual, per-project basis. Smart Alex bills itself as the creator of the most humorous greeting cards produced since 1980. They pride themselves on cards for all occasions that are cutting edge, risqué, off-beat, or better yet, all the above. If you enjoy adult humor and have a flair for writing edgy copy, or if you can produce photos or illustrations that portray hilarious situations, they want to hear from you. The Frugal Navy Wife recommends Smart Alex as a good place to submit if you like to come up with humorous ideas. You can submit written copy, photographs, or illustrations to Smart Alex. The company encourages you to email submissions to submissions@smartalexinc.com, but if you have a considerable body of work, you can send it through regular mail to Smart Alex, Inc., 1800 W. Grace St. #322, Chicago, IL 60613-6086. Artwork sent as attachments should be in JPG format and 72 DPI resolution. If you're sending artwork through regular mail, you should burn it onto a CD. Payment is negotiated after your work is accepted. With greeting cards for all occasions and major holidays, Palm Press offers individual cards and boxed sets, and they use photographic images in their designs. They like fresh, original images that get people's attention, and they have a wide range of subjects and categories in which they're interested for their cards. You can submit your work at any time throughout the year. To submit photographic images, you can send a link to your website for their perusal. If you prefer, you can send up to ten images via email at images@palmpressinc.com. You can send more than ten images at a time if you burn them on a CD and send it to them through regular mail to Palm Press, 1442A Walnut Street #120, Berkeley, CA 94709, Attn: Submissions. The company will contact you if they're interested in your work. 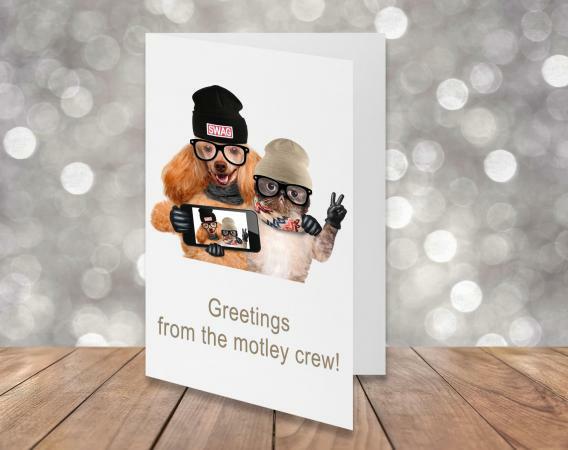 Avanti Press sells greeting cards that use innovative photographs as a means of creating, as they put it, "seriously funny" cards. They especially want expressive images of people or animals in hilarious situations or images that tell a funny story. Avanti sells all-occasion cards as well as seasonal cards and cards for major holidays. They accept submissions of written copy as well as photos. To submit photographs to Avanti, you'll need to use their email submission form, for which you must fill out your information and attach images in low-resolution JPG format. You can also send color copies through the mail to Avanti Press, Inc., Editorial Department, 155 W. Congress, Suite 200, Detroit, MI 48226. If you'd like to send a sample of your writing for their consideration, you can use the email submission form for that purpose. If your work is accepted, they will contact you to discuss payment and licensing. If you write verse or poetry that has a religious theme, you might be interested in submitting to Warner Press, a non-denominational Christian company that creates bulletins, books for children, ministry and teaching resources, and boxed sets of inspirational cards. They prefer short written copy, since the verse on their published cards averages four lines long. Your verse need to be written in a conversational manner, with heart and originality in mind. You can submit your work to Warner Press via email at wporders@warnerpress.org or through regular mail to Karen Rhodes, Senior Editor, Warner Press, Inc., 1201 East Fifth Street, Anderson, IN 46012. Be aware that the company has a yearly deadline of July 31. If you have a verse accepted, you'll be paid $35. Snafu Designs is a wholesale greeting card company that produces humorous and alternative cards for all occasions and major holidays. Their cards feature laugh-out-loud lines paired with comical cartoon illustrations. If you can write no-frills funny copy or draw unique, humorous scenarios that appeal to intelligent adults, Snafu Designs would like to see what you can come up with. You can send up to twelve ideas at a time to Snafu. The company accepts submissions via email at info@snafucards.com or through postal mail at Snafu Greeting Cards, 2500 University Ave. W., Suite E-4, St. Paul, MN 55114. For postal submissions, they prefer index cards, but you can use paper if you like. You need to send ideas for images to accompany your written copy so they can get the overall idea, even if you can only present very simple drawings. If Snafu likes your work, they will pay $100 for any idea used for their cards. Viabella produces greeting cards for all occasions, especially those pertaining to anniversaries, new babies, weddings, and new love interests. They pride themselves on elegant and stylish designs that appeal to women. The company is soliciting verse and original artwork submissions, as well as fresh, original ideas for card designs. They prefer that you burn images in JPG format on a CD and send through regular mail to Creative Department, Viabella, 9 Kendrick Road, Wareham, MA 02571. If you prefer, you can email your work to submissions@viabella.com, attaching your images and including your wording ideas in the body of the email. Viabella has a schedule for reviewing different types of submissions. They review all-occasion submissions year-round, but seasonal submissions for Christmas, Valentine's Day, and springtime holidays have specific time frames for review. Just because a greeting in a card is shorter than a magazine article doesn't mean it's less valuable. Given the fact that many companies pay anywhere from $50 to $300 for accepted artwork or verse, it's possible to earn a decent amount of money in this market. You might find it challenging to wait on responses, and your success rate will vary wildly, but a freelance career or side business working with greeting card companies has good earning potential.